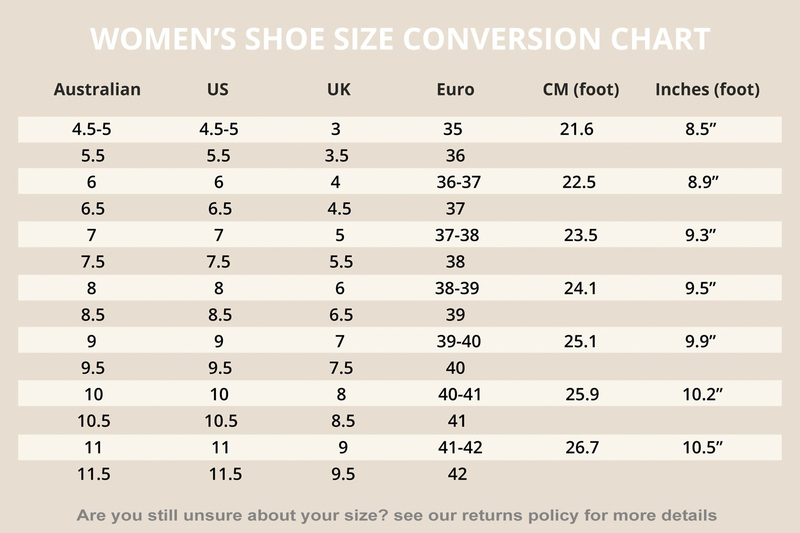 Here at Happy Shoes we realise that some shoe sizes differ and feet change size, which is why we will assist you the first time if you need an exchange. Provided the shoes have not been worn and are still in new condition we will pay the postage to you for an exchange. If you recieve your shoes and need to go up or down a size, post the shoes back to us at your expense and we will send the replacement shoes back to you for free. Note that this deal is for one swap only. If you need to exchange again all the postage costs will be your responsibility. Choose carefully as we do not refund. 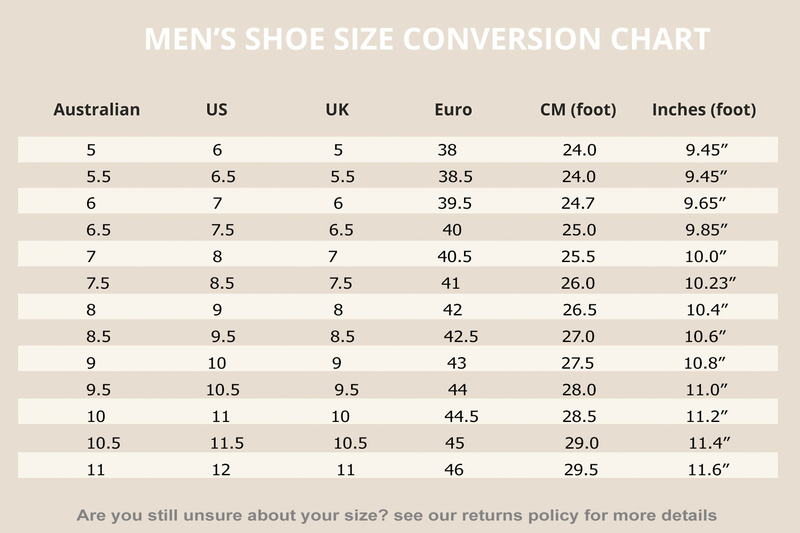 Please note that the below size charts are as a guide only.